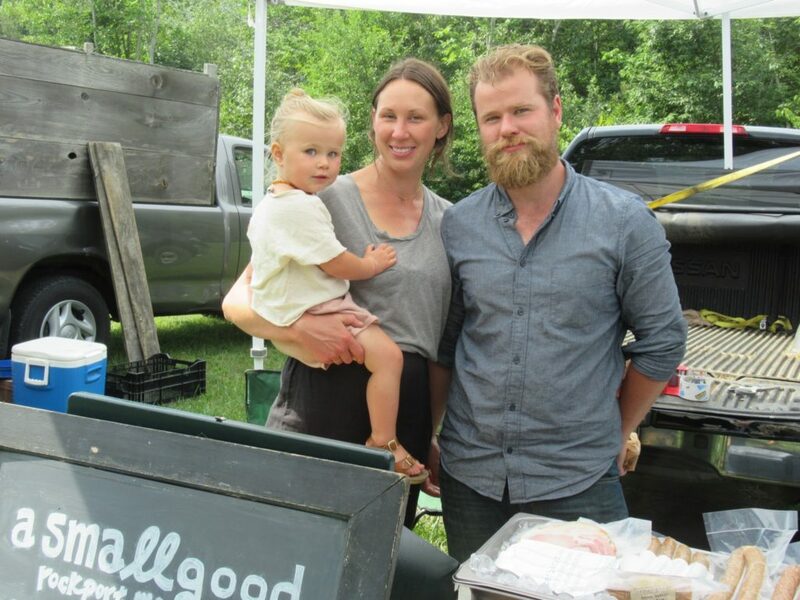 Georges River Land Trust, and Kelly and Oliver Perkins, who run a farming business called A Small Good that produces charcuterie, are pleased to announce the permanent protection of Taylor Place Farm, 125 acres of farm fields, woodland, and blueberry barrens on the southern slope of Philbrook Mountain in Hope. Formerly owned by Judith and Bill Jones for more than 30 years, the Perkinses were able to purchase Taylor Place Farm with help from Maine Farmland Trust, and to permanently protect it as farmland with the assistance of Georges River Land Trust. The Joneses wanted to sell to a farm family, but the market price for the property was more than a farmer could typically afford. Maine Farmland Trust’s program allowed the sale of development rights to offset some of the purchase price, resulting in the permanent conservation of the farm and payment to the buyers for the easement portion of the full value of the property. That way, everyone wins. This partnership between the original owners of the property, the Joneses, the Perkinses, Maine Farmland Trust and Georges River Land Trust demonstrates the ability to accomplish meaningful conservation. In addition to the productive farm soils that underlie 30% of the property, Philbrook Mountain is an amazing resource in the St. George River watershed. It is largely undeveloped and is within a large habitat block of 3,560 acres. The parcel includes diverse woodlands and streams, as well as open fields. Meg Rasmussen, Georges River Land Trust’s Executive Director, welcomed the addition of this agricultural easement to the nearly 4,000 acres that the Trust has under protection, one third of which protects farmland. “This is a spectacular property in the Central Highlands of our watershed. We are grateful for the partners who worked together to ensure this land is forever protected.” The Taylor Place Farm property is within a newly defined conservation focus area for the Land Trust encompassing the band of mountain ridges from Union to Hope.